STZ Records hits the Queens Club with a massive blasting Lineup in April. We are happy to invite you to join us on this psychedelic journey. Ladies and Gentlemen, fellow cosmonauts. We are honoured and stoked to invite you to the infernal journey into the deepspace of the centric matrix. We are here to open the Gates to your true self. You are the one that has to step through. Welcome to STZ Rec. 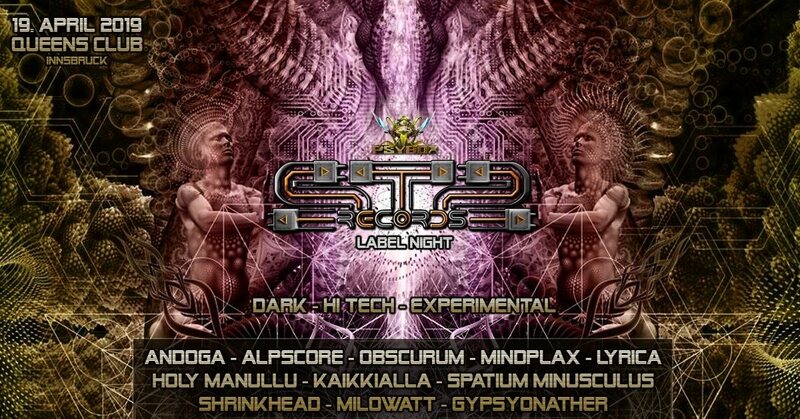 Label Night - a furious night of breaking the illusions in endless fractals of selfdestruction and becoming the pure source-awarness.